With the new film 42 shaping up to be a critical and box office hit, Jackie Robinson is in the news. Today we’ll look at his first game in Chicago—May 18, 1947. The Brooklyn Dodgers and Robinson were making their first swing through what were then the National League’s western cities. They arrived in Chicago with a 13-12 record, a game behind the Cubs. May 18 was a Sunday. Two hours before the 1:30 p.m. starting time, Wrigley Field was filled. A crowd of 47,101 was on hand—the biggest since the Cubs had reconfigured the seating. About 10,000 more had been turned away. “Only a giant shoe-horn plus a human potato masher could squeeze any more into the ball park,” the Chicago Sun said. Robinson came into the game riding a 15-game hitting streak. The Dodger manager had said that his rookie first baseman was carrying the club. But Robinson could do nothing against three Cubs pitchers. He was blanked in four trips to the plate and was charged with an error in the field. The Dodgers won anyway, 4-2. The big crowd was orderly, and there were no reported racial incidents. Through the years, a legend has come down that Robinson was booed in his Wrigley Field debut. If he was, it wasn’t mentioned in the contemporary press. 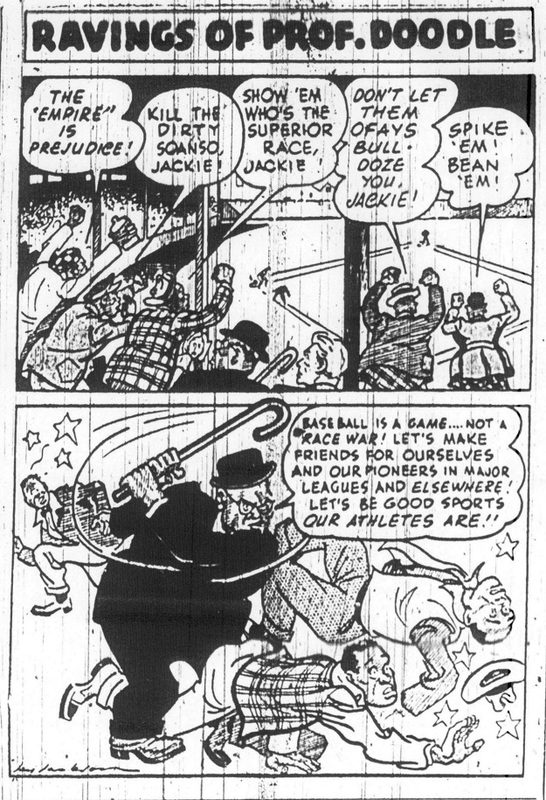 In fact, the only report of any booing was printed in the Defender—and that booing was directed at Dixie Walker, the Dodger teammate who’d opposed Robinson’s signing. 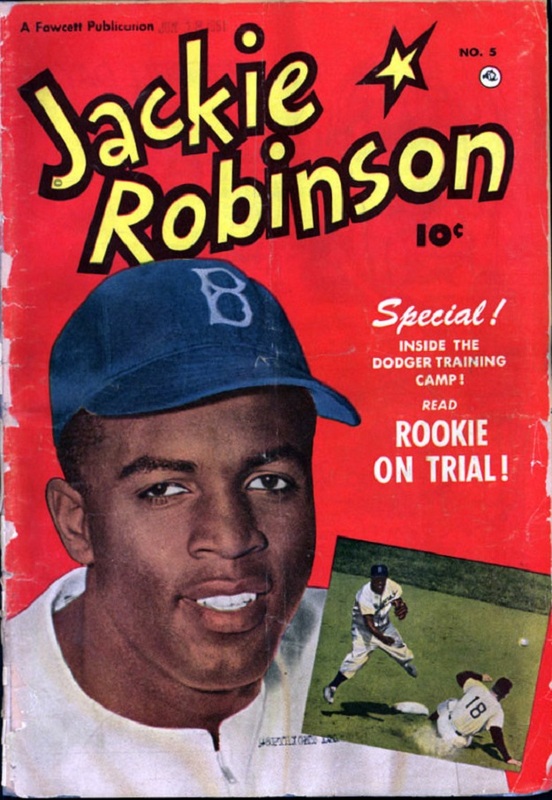 The Daily News interviewed Robinson about his first month in the major leagues. He said the sports writers had been generally supportive, and was even able to joke about the pressure he was under. That was Jackie Robinson’s first game at Wrigley Field. His last was on August 30, 1956. And I was there. I was 8 years old, and didn’t know it was going to be a historic occasion. The Dodgers were the defending world champions and were making their final visit of the season. Grandpa Price wanted to see the game and took me along. By 1956 most major league teams had black players. The Cubs had Ernie Banks, Gene Baker, and Toothpick Sam Jones. To me, Robinson was just another guy on the other team. I don’t remember anything about the game, and had to look it up to find out that the Cubs won, 4-3. Robinson played second base and went 0-for-3. Jackie Robinson died in 1972, at the age of 53. In 1997 his number “42” was officially retired by all major league teams.